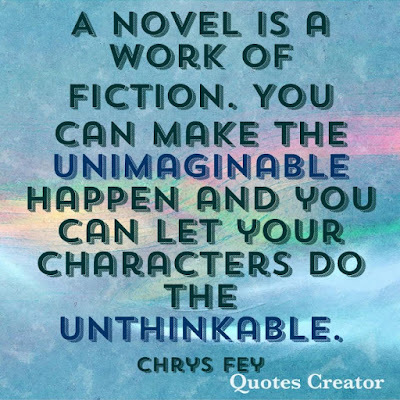 A novel is a work of fiction. 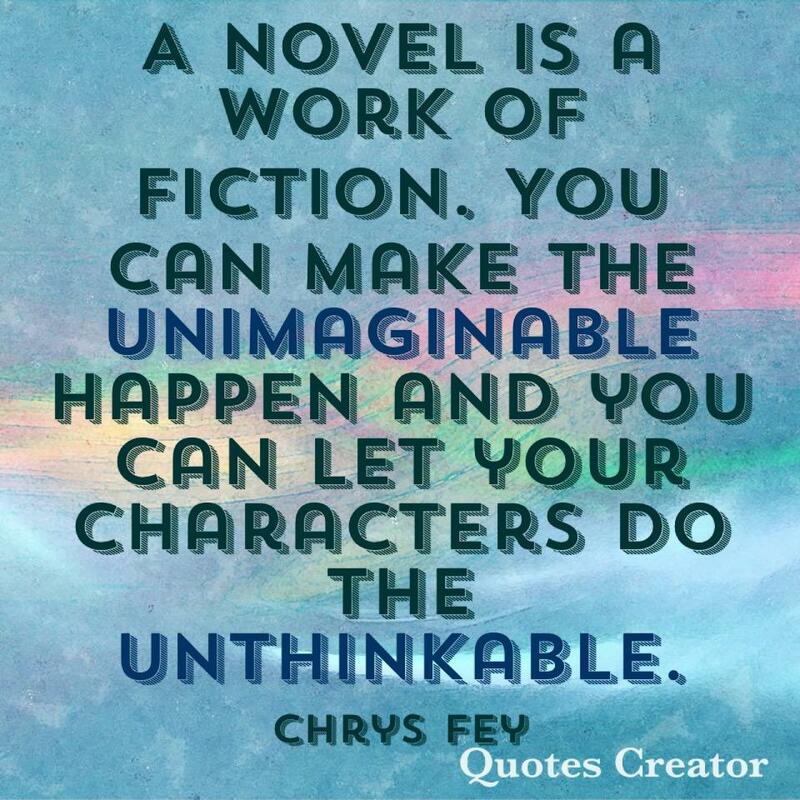 You can make the unimaginable happen and you can let your characters do the unthinkable. If you are writing a fantasy or supernatural story, by all means let your imagination run wild, but you need to at least keep one foot grounded in reality. As I have mentioned before, you want your characters to be as realistic as possible, even if they are mythical. Asking yourself, “What would I do?” will help you to stay authentic in your writing, instead of trying to figure out what someone else would do or say. It’ll also help your readers to believe the story you are telling. If your main character goes through something traumatic, try to imagine going through the same thing. How would you feel? How would you cope? Use this technique for all of your characters. Actors have to embody the characters they play, especially a character who is dark and twisty. Writers can do the same thing. I do. For the second book in my unpublished series, when my main character is stuck in a psychiatric ward, I put my mind into that situation to understand how she would feel, and when she was having a mental break down, I pretended that I was, too. At one point, I wrapped my arms around my body, rocked back and forth in a chair, and ticked my feet up and down as if I wanted to run. From my mouth, I was repeating, “I don’t know. I don’t know. I don’t know!” In one scene, my character is doing exactly that. QUESTION: So, what would you do if you were in your characters shoes? A protagonist is the main character in a novel or story that all the action revolves around. He/she us the hero of the story, the one we are rooting for from beginning to end. We follow his/her life, learn about his/her problems, and know his/her feelings and thoughts. A protagonist needs a weakness. This weakness can be anything, from something that physically makes the protagonist weak to an event from his/her past that frightens him/her. It can even be a bad quality. In my series, the protagonist has supernatural powers and a form of Kryptonite that hurts her. She also has many scars from her past that resurface during the course of the series and a slight anger problem that always gets the better of her. A protagonist also loves. In every book, from every genre, the protagonist loves. If they don’t actually fall in love then they should show love. Another emotion a protagonist must reveal, at least once throughout the whole story, is fear. Fear is the most common emotion; it makes us human, and as I’ve mentioned before, you need to make your characters as real as possible. Even my main character, who is known to be fearless, experiences fear in each novel. Most of all, a protagonist must struggle. Life is all about struggle. There needs to be conflict that the protagonist has to overcome whether it is beating cancer, putting a crumbling marriage back together, finding true love, or saving the world. Every story has a protagonist but not every story has an antagonist. 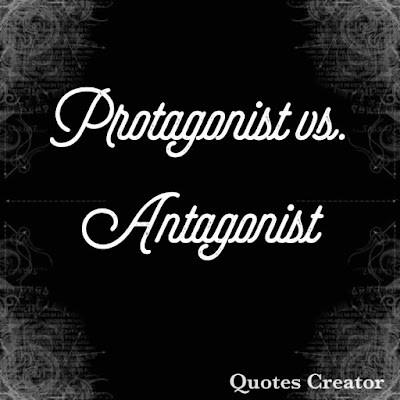 An antagonist is a person who opposes, competes with, and fights against the main character in a novel. He/she is the villain of the story, the one we are hoping will fall to his/her demise. He/she causes problems for the protagonist, does everything in his/her power to ruin the protagonist’s life, and sometimes even tries to kill the protagonist. ﻿﻿﻿﻿An antagonist is driven to cause conflict on the main character out of pure spite or for a deeper, darker reason, and he/she won’t stop until the protagonist falls! ﻿1. Surprise your readers by putting an air of mystery around the antagonist. Keep their identity and motive a secret. 2. Describe them in a darker light than you would the protagonist. Make them look evil! 3. Create dialogue that is sinister. ﻿﻿4. Make them cold-hearted. Other than hate and anger, don’t let him or her show any feelings, because an antagonist doesn’t have sympathy, compassion, mercy, and he/she certainly don’t regret his/her actions. 5. Have them do horrific things throughout the course of the novel, such as threaten, kidnap, torture, and even kill. UPDATE: Thanks to a comment I received, I want to clarify what I said about the antagonist, especially #4. There are really two types of antagonists; the kind that is extremely dark and cold-hearted toward their victims and the kind that while they are portrayed as "evil" they still possess at least one good quality. Above, I was describing the first kind. It is always up to the writer on which version of the antagonist they want to use. In my series, there are multiple bad guys and a few of them do show good qualities and even become good. But the main antagonists in my stories are too evil to show an ounce of goodness, because not all antagonists are meant to. But they definitely do have a weakness, which is #6. 6. Give your antagonist a weakness. This weakness doesn't have to be a quality opposite from their demeanor, like one that is classified as good. The antagonist can have any type of weakness the protagonist can have, like a horrible childhood or a special weapon that could kill him/her (if you’re writing science fiction). But I believe that an antagonist’s hate, anger, need for revenge, etc. is the true weakness. It’s ultimately up to you and your character. P.S. I am a strong believer that the protagonist should win if you want to keep writing about that protagonist and don't want to anger your readers. You can let the antagonist come close to winning and make it seem as though he/she will win, but in the end the antagonist loses and the protagonist triumphs! But if you want to end the series, then by all means, let the antagonist prove victories. #1. Who is your favorite protagonist from a novel/series? #2. Who is your favorite antagonist from a novel/series? Halleluiah! You’ve reached CHAPTER TEN! This is a big, important part of your book. First, it signifies that you are halfway to THE END. So, let me congratulate you on this major writing achievement. You’re almost there! Second, this means that a big event can happen now—bigger than whatever happened in chapter six. Evaluate your detailed plan, look over what you have been writing, and consider what could happen next. Remember: The event that happens in Chapter Ten will make all the difference to the rest of your novel. For a murder mystery, perhaps the investigator is getting too close for comfort and the killer has to take action. Maybe he attacks your investigator or another important character in your novel. For a suspense novel, anything can happen. For a romance novel, perhaps this is the first time your characters make love. Or maybe something traumatic happens to your main characters, like a car accident. Whatever genre your novel is, take your writing spark, light the fuse, and let the fireworks begin! When you’re writing your own book, you can do whatever you want. You have the say over what happens to your characters because you’re the creator. 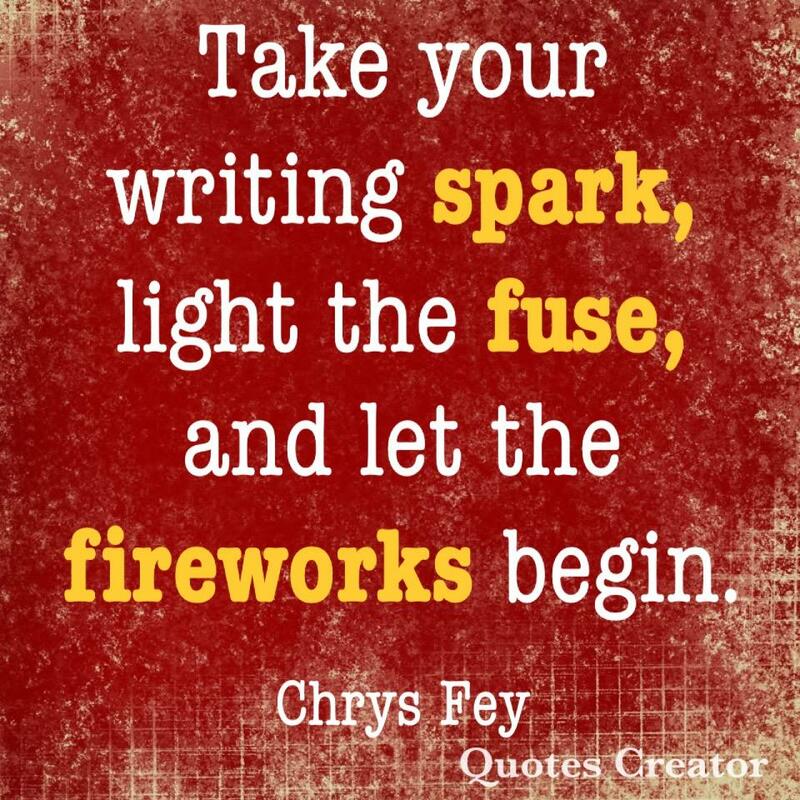 Now go and show your novel whose boss and shake things up! QUESTION: What book have you read with an event that shocked you to the core? FYI: All books are different and all writers work differently. Your novel may have shorter chapters, which will mean your chapter numbers may be higher. If you created a detailed plot, then you should be able to see where your half-way point is in your novel. Whenever I mention a chapter, just change it for what implies to you. The chapter numbers are just to help you complete your novel, not a rule. Painters search for beautiful landscapes that they can recreate on a canvas with brushstrokes. Poets draw inspiration from the world they know and see to pen wonderful lines of poetry. Writers can do the same by morphing what they see with their eyes into words and sentences in their novels. Look at a landscape as an artist would. See how it flows and rolls, how the grass sways and dances with the wind, how the sun comes down in beams through puffs of clouds. Instead of panting it, you’re writing it. The effect can be one in the same because you are literally painting the image in a reader’s mind. Study the world as a poet would. Find different ways to describe what you see. Once, when I was taking a walk and admiring the sky, I noticed how the setting sun transformed the fluffy clouds, giving them pretty pink and purple hues like cotton candy. My brain lit up with that thought, and I immediately used it in my book: A cotton candy sky. The news is a great substitute if you do not have experience with something you need to write about. When I was re-writing my first book, I had collected articles from newspapers and jotted down specific notes that I found interesting. It’s a crazy world out there. Use it! Watch your local news and read articles. You never know what may inspire you. 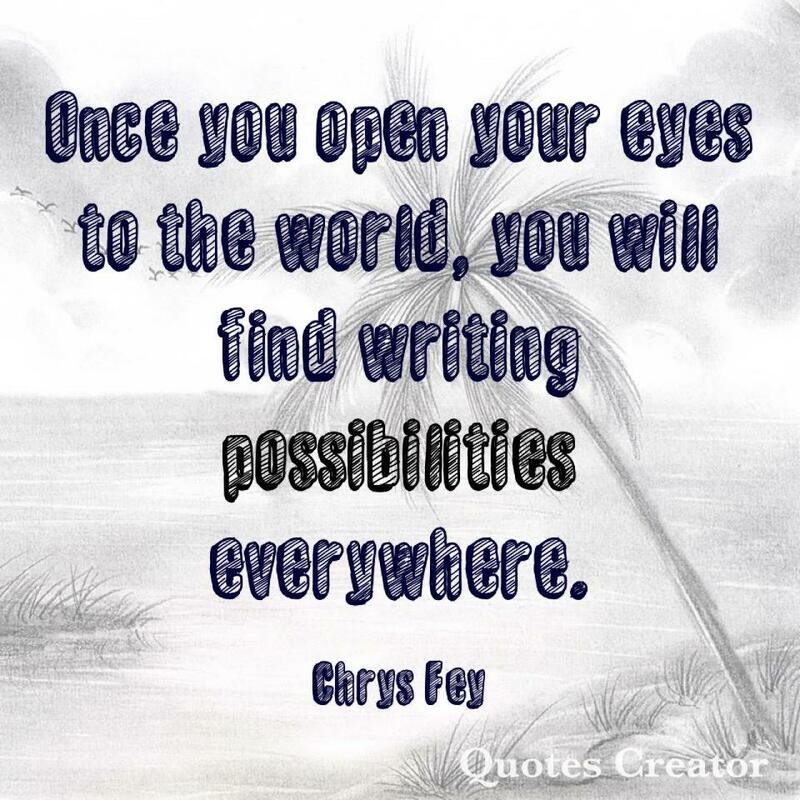 Once you open your eyes to the world, you will find writing possibilities everywhere. That is why I always have a notebook and pen, because I never know when I may see something that I’ll need to put in your book, or hear a snippet of a passing conversation that sounds exactly like something one of my characters would say. 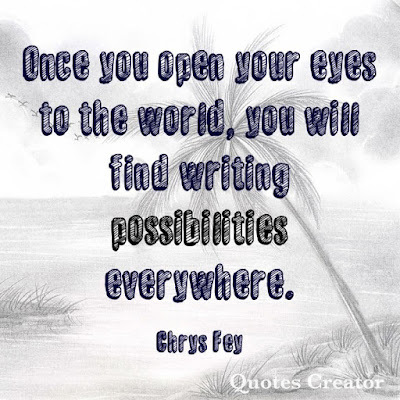 After all, the world is a great writing tool! SHARE: What is your favorite writing tool for inspiration? Mine has to be my past. There’s a lot of juicy stuff in my history that I tweak for my characters.